Darcy Merriweather and her sister, Harper, hail from a long line of witches who have the power to grant wishes using spells. They've come to Enchanted Village in Salem, Massachusetts, to join the family business, but they soon find themselves knee deep in murder. Until three weeks ago, Darcy and Harper were working dead-end jobs and trying to put their troubles behind them. Then their aunt Velma delivered a bombshell: They're actually Wishcrafters-witches with the power to grant wishes with a mere spell. 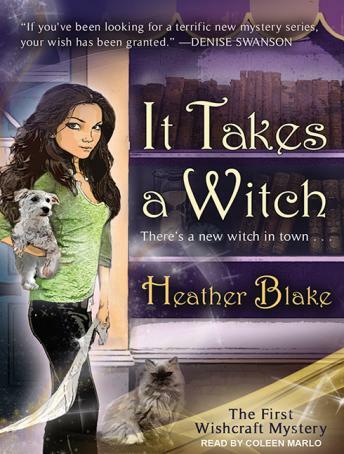 Wanting a fresh start, they head to their aunt's magic-themed tourist town to master their newfound skills. Awesome book, loved the narrator. she did a great job on the characters! looking forward to the next book.